We expect to close all registration except for Clinic, Clinic Rookies & T-Ball on Sunday. RBSA online baseball & softball gear stores now CLOSED! These online stores are now CLOSED though will open again soon-please stay tuned! Reduced Cage Rental Rates @ NJSA on 50 Spring Street-Ramsey & New App to book cages/receive RBSA discounts! Please note that our RBSA negotiated rates are $25 for 30 minutes & $45 for 60 minutes through May '19. To book your session contact Fernando via Text: 201-528-5900 or via e-mail: training@powerarmperformance.com and let him know that you are part of the RBSA. Please see the following flyer for additional reservation information. Power Arm (NJ Sports Advantage) also has partnered with Cager App that you can now use to download and book batting cage rental time on. They are offering us discounts to download & use the App to receive VIP ACCESS exclusive to RBSA Little League families. Registration is now open for the 2019 BOYS SPRING TRAVEL season. We have added an 8U division this year, in addition to levels for 9U - 14U. Register ASAP so that we may organize teams as quickly as possible. Please remember the 12U Cooperstown players do NOT have to register for Spring Travel. 2019 Spring Registration is Now OPEN!!! Registration for the 2019 Spring recreation season is now open. This year we have expanded to include Clinic Rookies level for League Age 5 boys and girls. Click the link below to register. Teaching "tomorrow's" RHS Softball players "today!" Ramsey High School Softball graciously provided the RBSA with a winter clinic for our players in grades 3 thru 6 on February 6th. We had over 40 girls in attendance! Our 7th & 8th graders will now get to become "Rams for a Day" while working out with the high school softball team during the week of 2/11. Many special thanks to Coach Caserta and his coaching team for always doing so much to keep our rec program strong! We want to make sure all baseball parents are aware of the new bat standards. Most of the major Youth baseball leagues in the US including Little League and Babe Ruth have adopted a unified Bat standard called the USA Bat Standard. The RBSA is following that standard for our leagues from Tiny Tim 8 through Babe Ruth. All bats that do not have the USA BAT Logo will not be allowed. The only bats that contain this new logo are 2018 & 2019 model year bats, so if you have a bat from any other year, it is no longer eligible. Again, only new 2018 & 2019 bats with the USA Bat logo are legal in TT8 through Babe Ruth. Teeball and Clinic can use bats from previous years. Additionally, for all Babe Ruth participants, please note that BBCOR .5 bats are legal this year in Babe Ruth only. Also note that single piece Wood Bats are Legal across all leagues. Rules on Softball bats have not changed from past years. Please contact Shawn Kirk @ skirk@extelldev.com with any questions regarding this new bat standard and how it applies to your child. 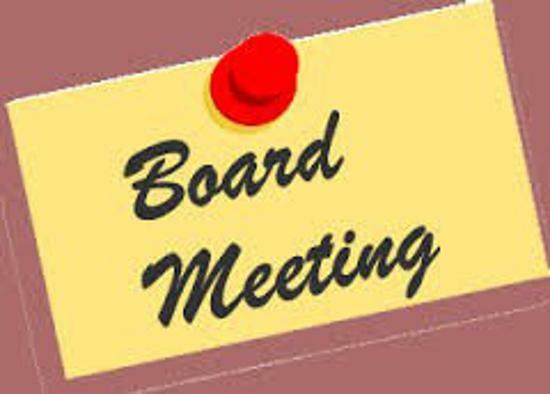 The next RBSA Board meeting date is on Thursday, February 18th, 2019 @ 8:00pm (Finch Park-Senior Center)...any/all new volunteers are always welcomed to join us! The RBSA would like to sincerely THANK all of our sponsors for their dedicated and generous support (please see current list under our Sponsors tab (on left))! It is with great sadness that the RBSA relays the passing of Sue Roeller after a battle with cancer. For those who know the Roellers, you know how much time they devote to Ramsey sports and how instrumental Rob has been in growing Ramsey Baseball. We would like for everyone to please go to the following Go Fund me link and consider giving a donation in Sue’s memory. Every little donation helps and would be greatly appreciated by the Roller family. It is with great sadness that the RBSA relays the passing of Lou Dovidio after a long, brave fight against cancer. Lou's son Brian played all the way from Clinic through Babe Ruth. He, Lou and Lou's wife Carole were (and are) both integral and beloved members of the RBSA family. To donate directly to The Brian Dovidio Scholarship Fund, please click the secure link found on their Facebook page-any donation(s) would be greatly appreciated by the Dovidio family. Please closely review the following document for important information regarding the new birthdate cut off changes. If you have any questions or concerns regarding the age determination, please contact Shawn Kirk at skirk@extelldev.com or Matt Miller at MGMiller17@verizon.net. If your child is born within the May 1st - August 31st window and wish to change leagues from your registration choice, please contact Matt Miller either via e-mail or at 201-264-0531. Use this handy Little League Baseball calculator to determine your son's league age. Follow this link to our Facebook page @ Ramsey Baseball Softball Association for updated information and upcoming RBSA events. Follow this link to our Twitter feed @ RamseyBaseSoft for real time information on the RBSA. Everything you need to know about the Kindergarten clinic. Does my child have to play rec in order to be eligible to play on the travel teams? How do Major league evaluations work? If my son wants to play in the Minor leagues does he have to attend the Major league evaluation? Can my daughter play baseball instead of softball? Find out the answers to the most frequently asked questions. Updated 2/4/19. The RBSA requires that all players, parents and spectators must adhere to the NJ Athletic Code of Conduct. Interscholastic and youth sports programs play an important role in promoting the physical, social and emotional development of children. It is therefore essential for parents, coaches and officials to encourage youth athletes to embrace the values of good sportsmanship. 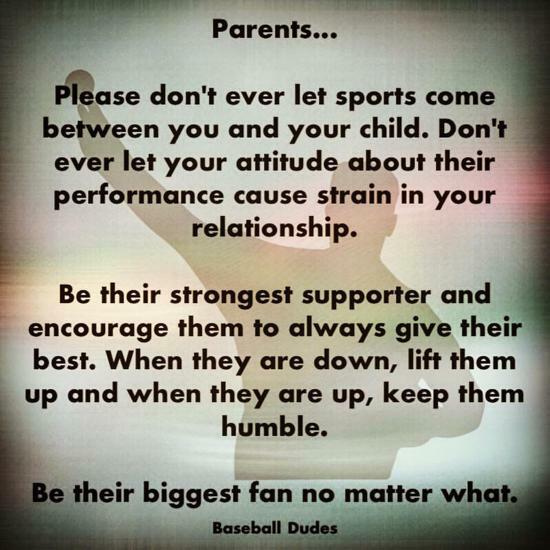 Moreover, adults involved in youth sports events should be models of good sportsmanship and should always lead by example by demonstrating fairness, respect and self-control. ©2019 Ramsey Baseball and Softball Association / SportsEngine. All Rights Reserved.